Suppose we borrow Php* 1.00 from a loan company at an interest rate of 100% a year, then after a year we would have to pay Php 2.00. We have learned from elementary school mathematics that to get the interest, we have to multiply the principal by the rate. Just in case, we already have forgotten, the computation to calculate the interest is shown below. Figure 1 – Computation of the Interest of 1.00 given a rate of 100% a year. *Php stands for Philippine pesos, the currency in my country. 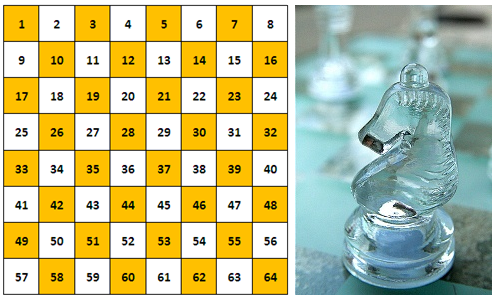 The situation above is an example of a simple interest problem. Simple interest is calculated by multiplying a fixed interest rate to a principal amount over a fixed period of time. There are several scenarios that could happen in loaning money. Most of the loan companies accept early payments; some allow the borrowers to re-borrow the money, and some apply interests to amount payable just like re-borrowing money. Let us see what happens in both scenarios. Suppose you borrowed money for 1 year and luckily you got money after 6 months, and you want to pay your loan immediately. Your loan company might only charge you 50% such as shown in Figure 2. Figure 2 – Computation of Interest of 1.00 peso compounded semiannually at a rate of 100% a year. Another scenario is to borrow the money for six months and re-borrow it again for another six months without paying the first loan. Note that this is the same as failing to pay a six-month loan for a year. The question is, after borrowing 1 peso for six months with an interest of 50% the first six months and another 50% in the second six months, do you think your loan company will let you pay Php 2.00 for 1 year? Well – lucky you are if they do. 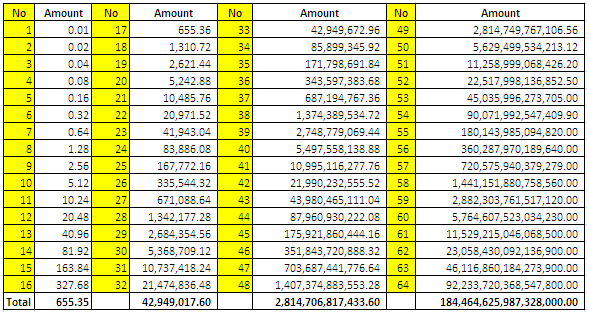 Table 1 – Computation of 1 peso loan compounded semi-annually at an annual rate of 100% interest. Loan interests do not work that way. That is because from scenario 1, after 6 months, the amount that you have to pay the company is Php 1.50. Hence, if you re-borrow the money without paying the principal – or you failed to pay it for another six months – the principal amount during your second loan will not be Php 1.00 but Php 1.50. The computation of this scenario is shown in the table in Table 1 and is called compound interest. That is applying the interest rate not only to the principal amount (which Php 1.00 in the first six months), but also including the interest (which is Php 0.50 in the first six months). If we have a fixed rate, say 100% (or 1 in decimal equivalent), then we have to divide it into the number of times that we are going to compound our interest in one year. For instance, applying a 100% interest to a one-year loan compounded monthly will require us to divide 100% by 12 which is 8.5% per month or 0.085 in decimal equivalent. Table 2 shows the computation of this scenario. In January, the principal is only Php 1.00 and after applying the interest, the amount payable is 1.085. That means, if you want to pay at the end your January, you have to pay 1.085 or 1.09 pesos. This becomes the principal amount in February. If we multiply 1.085 by 0.085, our interest in February is 0.092. If we add this to the principal amount in February, which is 1.085, then the amount payable by the end of February is 1.177 peso or 1.18 pesos. 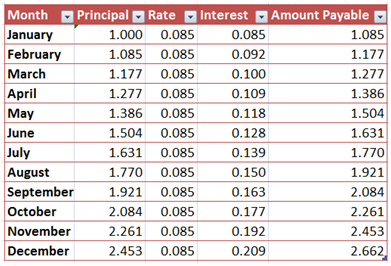 Table 2 – Computation of Interests of a 1-peso loan compounded monthly at a 100% annual interest rate. This process is repeated until December. As shown in the table, by the end of December, 2.66 is the amount payable for the 1-peso loan for 1 year with 100% interest compounded monthly. Putting the principal and interest in table in Figure 3 into computation, we have the following. Figure 3 – Computation of Amount Payables given the number of compounds per year. What happens as the number of compound is getting larger and larger? What happens if we compound per day, per hour, per minute and per second? What happens if we divide 1 (that is, 100%) into a very large number? Will the amount payable reach a very large number? Will amount payable reach infinity? Using 1-peso as principal and 1 (or 100%) as interest per year, the table below shows the amount payable given the number of times the interest is compounded in a year. As we can see, compounding daily gives approximately 2.714 pesos and compounding every second 2.718, only a difference of 0.004. It is evident that as the number of compounds of year increases, the smaller the increase in amount payable per year. Does that mean that the amount payable is approaching a particular number? 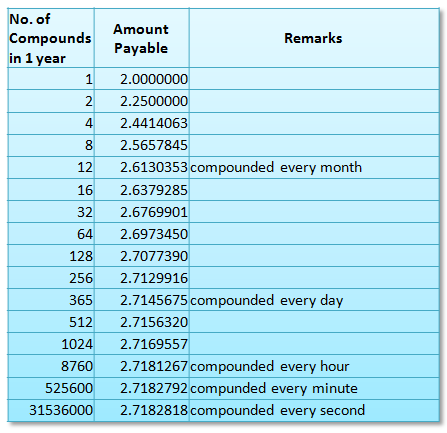 Table 3 – Computation of Amount Payables given the number of compounds per year. Also, from the table, it seems that as the number of compounds increases, the amount payable is approaching 2.7182818. In fact, raising the number of compounds per year to 1 billion gives us 2.7182820, an increase of 0.02. This means, that this number has a limit as we increase the number of compounds per year. The number that is the limit of the expression is called in mathematics and is approximately equal to 2.718282. That is . The irrational constant is a very important number in mathematics just like . It is be seen in many mathematical fields. In future posts, we are going to discuss why e is so important and where e usually appears. You have probably noticed that floors are usually tiled in squares or sometimes in rectangles. What is so special about these shapes? What are the disadvantages of using other shapes? The most important thing to consider in tiling is that the shape of the tiles should cover the floor without gaps and without overlaps. Probably, this condition will be satisfied easily if the tiles that are used have the same shape and the same size. If we are going to use regular polygons in tiling, then we can use squares, equilateral triangles or regular hexagons as shown in Figure 2. These polygons will cover the floor without gaps and overlaps, and thus will minimize the need for cutting. In mathematics, the term used for tiling a plane (floor in our context) with no gaps and no overlaps is tessellation. Of course, we are not the only one who realized the advantages of shapes that can tessellate. The bees create honeycombs in hexagonal tessellation as shown in Figure 1. Figure 2 – Examples of regular polygons that can tile the floor without gaps and overlaps. Note: If you are wondering how these beautiful diagrams were created, I have created a tutorial about it here. Looking at Figure 3, we can see that not all regular polygons exhibit the property shown by polygons in Figure 2. It is clear that the regular polygons namely pentagons, heptagons and octagons do not tessellate the plane. Figure 3 – Examples of polygons that cannot tessellate the plane. What are the properties of polygons that can tessellate the plane? Aside from equilateral triangles, squares and regular hexagons, what other polygons can tessellate the plane? In Figure 4, notice that in order for a regular polygon to tessellate the plane, the sum of the interior angles that meet at a common point must equal 360 degrees. Figure 4 – The Interior angles of polygons that can tessellate the plane add up to 360 degrees. On the other hand, the three polygons in Figure 5 do not tessellate the plane. In the leftmost illustration, the measure of the interior angles of a regular pentagon is 108 degrees. If we try to tile the plane, we can see that the measure of the three angles meeting at a common point add up to 324 degrees. Now, this leaves an “exterior angle” of 36 degrees angle as shown. In the remaining part of this article, we will refer to this type of angle (denoted by red text measurements) as exterior angles. As we increase the number of sides of a regular polygon, we also observe that we cannot make three interior angles meet at a common point without overlapping. This is shown in the center and rightmost illustration in Figure 5. Only two polygons can have their vertices attached at a common point without overlapping. Figure 5 – Exterior angles produced by some polygons. In the Angle sum of Polygon post, we have discussed that the sum of the interior angles of a polygon with sides is described by the formula . Since we have congruent angles, it follows that each angle measures . As a consequence, as the value of increases, the measure of the interior angles increases. In effect, the measure of the exterior angle decreases as the value of increases. Figure 6 – Table showing properties of tessellating and non-tessellating polygons. Looking at the table in Figure 6, we can see that polygons whose product of interior angles and the number of adjacent vertices is 360 tessellate. Consequently, the measure of their exterior angles is 0. Furthermore, observe that as the number of sides of the polygons increases, the fewer the number of vertices that we can fix at a common point without the polygons overlapping. Since all regular polygons with more than six sides have interior angles measuring greater than 120 degrees, placing their three interior angles at a common point will make two of them overlap. This is because their angle sum would be greater than 360 degrees (we can verify this using the Tessellation GeoGebra applet).Thus, for polygons more than six sides, only two vertices can be placed adjacently without overlapping. Now, to tessellate, the two adjacent interior angles of these polygons must add up to 360 degrees, which means that each of them must equal 180 degrees. Of course, there is no such polygon. Hence, there is no way that we can tessellate the plane with regular polygons having number of sides greater than six. This proves that the only regular polygons that we can use to tessellate the plane are the three polygons shown in Figure 2. We will not limit, of course, our creativity by using only regular polygons in tiling floors. 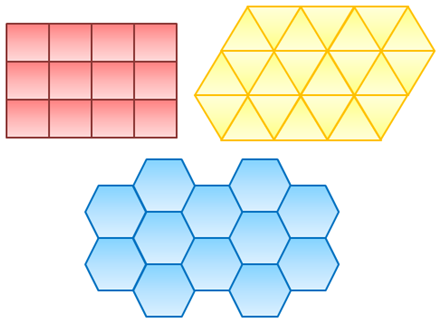 The polygons shown in Figure 7 are some of the tiles which are not regular polygons. In the rightmost figure, we used octagons and squares in tiling, which is considered as a semi-regular tessellation. Figure 7 – Example of non-regular polygon tessellation. Not all tessellations are created in the Euclidean plane. In the leftmost illustration in Figure 8, the sphere is tessellated by a truncated icosidodecahedron. Figure 8 – Tiling in the Spherical, Hyperbolic and Euclidean Plane**. The center illustration is an example of tessellation of the hyperbolic plane, created by M.C. Escher and the rightmost illustration is another example of the tessellation of the Euclidean plane – a lso by M.C. Escher. **2. Circle Limit III by M. C. Escher (1959). **3. Angles and Devils by M. C. Escher (1941).